This is a guest post by Casey Fiedler who writes on how to find adventure in modern life. 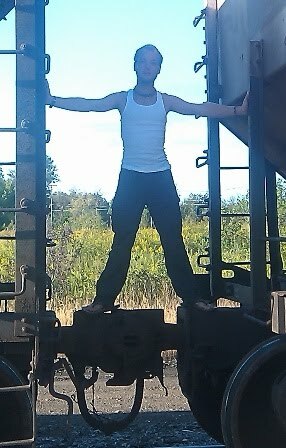 Check out his blog at Contemporary Adventures. What should you put in your survival kit? This question pops up all the time across the web. I’ve spent time in the outdoors, in wilderness survival classrooms, watched what YouTubers and professionals alike have to say on just about anything that could go in a “Survival Kit”, and I’ve done my time in the bush practicing extended survival techniques. The one thing I always notice is people’s tendency to over pack and over-list “necessities”. A list of survival kit necessities should be just that – necessary. I’m not going to tell you what to pack; any search engine result will have a list of possibilities. The intention of this article is to help you choose what’s worth it, and what isn’t. By following these simple rules, your survival kit will become smaller, lighter, more efficient, and more likely to keep you alive! 2. Keep it small. This rule is a little flexible. For example a survival kit that would be stored in the trunk of a car could be much larger and heavier, opening up more options for content choices. Backpackers and outdoorsmen, however, need to have a lightweight, small, easily portable kit that won’t burden their movements in the woods. Become proficient with a few items, know what you need, and pack only the necessities. It’s a survival kit, not carry on luggage. 3. Complement your own abilities. Not all survival kits should be identical. If you’re the worst fire starter since the beginning of man, then keep a couple good fire starters in your kit. If you can start a fire in the pouring rain with just the hairs off your back, then go easy on the fire gear. We all have our strong suits; know yours well and pack as little as is necessary to compliment your level of proficiency. This will keep the kit size small and efficient. 4. Keep the environment in mind. If you’re heading into the desert, you’re going to need to take some very serious water and shelter considerations. If you’re heading into the Arctic Circle where it’s light 24/7, maybe you can take the flashlight out to lighten the load and open up space for cold weather necessities. 5. All items must serve double duty. If there is something in your survival kit that does not have more than one use, take it out! In order to effectively reduce pack size and increase efficiency, your survival kit items must pull double duty. A couple exceptions might be water purifying tablets and ferrocerium rods (metal match). Take string or wire off their cardboard tubes and wrap them around the base of your canteen to save space. Pack each progressively smaller item inside the last, kind of like a Nesting Doll effect. 6. Be frugal. This might qualify more as a personal rule, however I suggest you all consider it very carefully. Survival has become a niche cult sort of topic lately and manufacturers are loving it! Remember, the people who make survival kits for retail sale have one main goal: profit! Let’s consider this: your goal is to stay alive, their goal is to make money… those two don’t fit well together. Make your own kits and save money where possible, not everything is a scam, but no production kit will ever match the quality of a personally tailored survival kit. However, it’s not always about saving money, being frugal with your survival kit can often bring benefits by forcing you to make some of your own gear. Make your fire starters by dipping cotton balls in Vaseline; you don’t need to spend money on fire starters. Make your own flint striker (okay, I’m a Blacksmith, not all of us are) unknown to most people, quartz rocks and various other minerals strike sparks just as well as flint! Find ways to complete your kit on your own. 7. Test each item. Take your kit into the woods for a day, weekend, or week and practice using it! You can’t just expect these items to light a fire for you, collect all the water for you, or catch animals for you. It takes a lot of skill to start a fire with natural tinder in blowing wind, to carve each component of a figure four perfectly, or to capture an animal using an improvised trap. Practice makes perfect, and if an item in your kit doesn’t belong or doesn’t perform its duty you’ll quickly find out. Trashbags - Two or three trash bags take up VERY little room or weight and can waterproof a shelter, make a poncho, windproof you, collect water, purify water, and perform just about every other survival duty in a pinch. 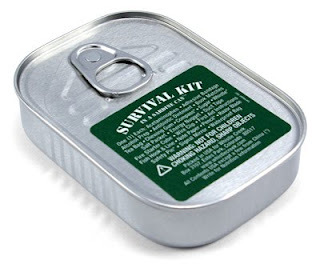 It’s not too hard to start getting ideas for items to include in a survival kit. The more you go out and practice with these, the more confident you will feel with your ability to survive in wilderness. You’ll see that a list of more than ten or fifteen items will be all that you rely on in the wilderness. Only you can choose which items are necessities. Tailor your kit using these rules and it won’t fail you in the wild! Hey Constantin, thanks so much for this wonderful opportunity to reach out to your readers. Enjoy the article, everybody! Thank you for your contribution, Casey! Such a great write up and just what I needed! Thanks for elaborating on the details of survival gear. Thanks Kornel! And thanks to Casey for writing this.